Kyrie Irving in action for the Celtics. The Boston Celtics have a mysterious problem this season. They probably have the best young and proven core in the league as of this moment, along with a healthy mix of veterans and stars and a lot of future draft picks which can be used to either trade up in the draft or trade the picks away along with a bunch of young players for a really good established star (Anthony Davis). But this season has been a mysterious one for the Celtics, with nobody able to get into a rhythm. Let us look at the playoff chances for the Boston Celtics. 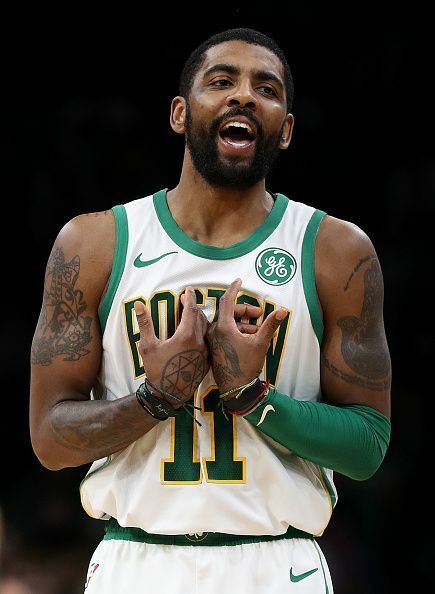 Kyrie Irving has had a tumultuous season with the Boston Celtics this season, with the whole free agency drama and the fact that he called out some of the players publicly has not gone down well with the whole team. This has led to some issues with team chemistry but that has not bothered Irving in the least. He has been a force to reckon with on the court this season, averaging 23.4 points a game, along with 6.9 assists and 4.9 rebounds as well, both of which are career highs. He missed a few games with lingering injuries but had an amazing January, where he averaged 25.7 points per game, along with 8.1 assists and 4.2 rebounds. The Celtics will be looking to put aside their chemistry differences, as they have won just 1 game since the All-Star break and Irving continuing his stellar display will only make it better. 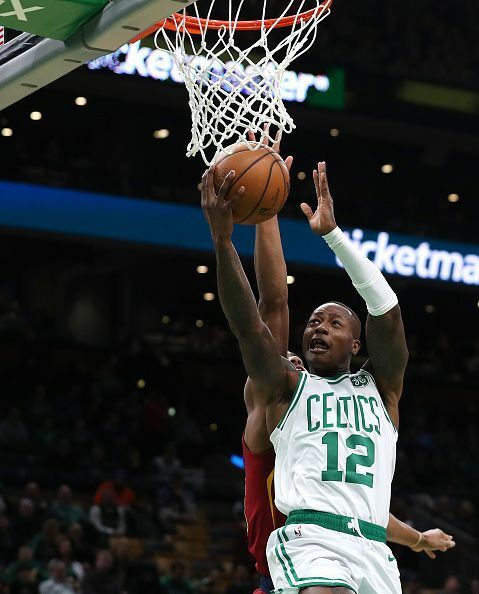 Terry Rozier has been in phenomenal touch for the Celtics this season. 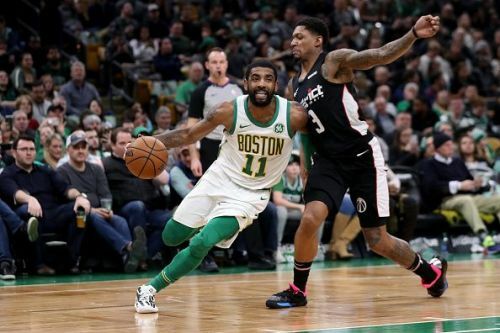 The Boston Celtics have been blessed with a plethora of young stars and role players that last season managed to make an NBA finals run in the playoffs, without their stars in Kyrie Irving and Gordon Hayward. Jaylen Brown, Jayson Tatum, and Terry Rozier have continued their stellar display this season and have continued to make strides, staking a claim for a starting spot in the team. Tatum has been phenomenal with the Celtics, averaging 16.1 points per game, along with 6.3 rebounds. Brown has been delegated to the bench with Smart starting in his spot, still averages 12.7 points per game, along with 4.4 rebounds. Rozier gets some time to play only when Kyrie is out and usually manages to play a big role in the Celtics lineup. If the Celtics need to get themselves going, they need these budding stars to stick together and keep playing solid basketball.